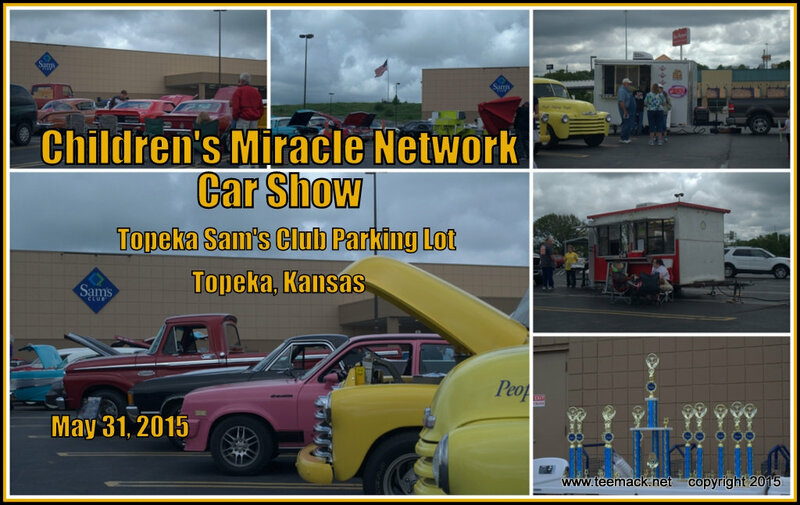 The Sam's Club in Topeka, Kansas hosted a car show to benefit the Children's Miracle Network on May 31, 2015. The Show was open to all makes and model of Cars and Trucks. Approximately 50 vehicles showed up for the fund raiser. There were several food venders and the Music was provided by Rainbow Dragon Mobile DJ. The weather was cloudy to partly cloudy most of the day. Everyone had a good time at the car show. Click here to view photos of the event.